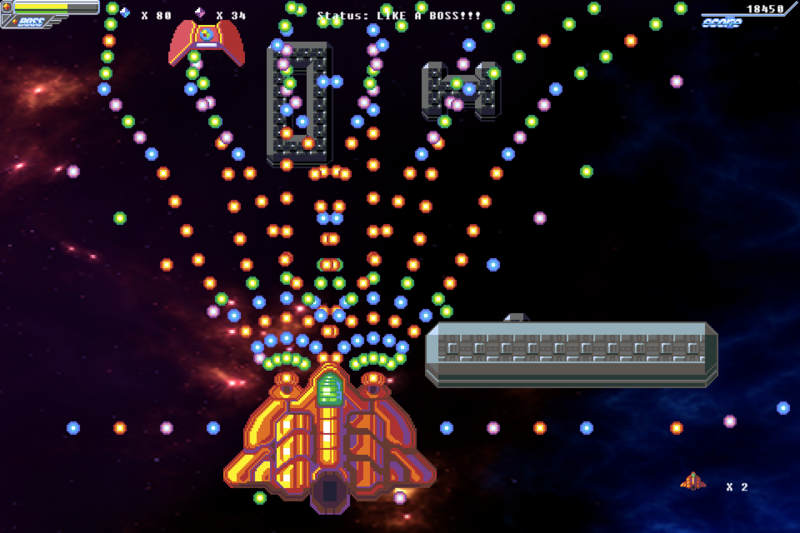 Grow like a boss in Bostardian, a crazy psychedelic bullet hell vertical scroller shooter. 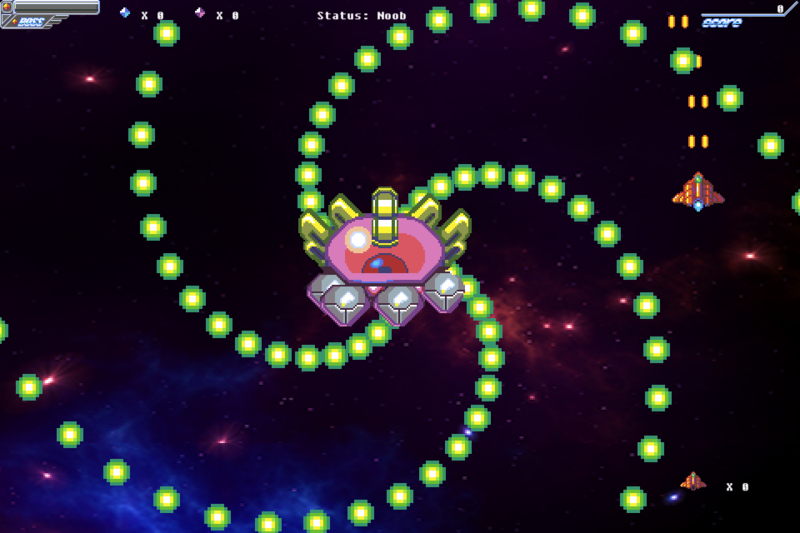 Green gems: create a forcefield around the ship that grows with each gem collected. 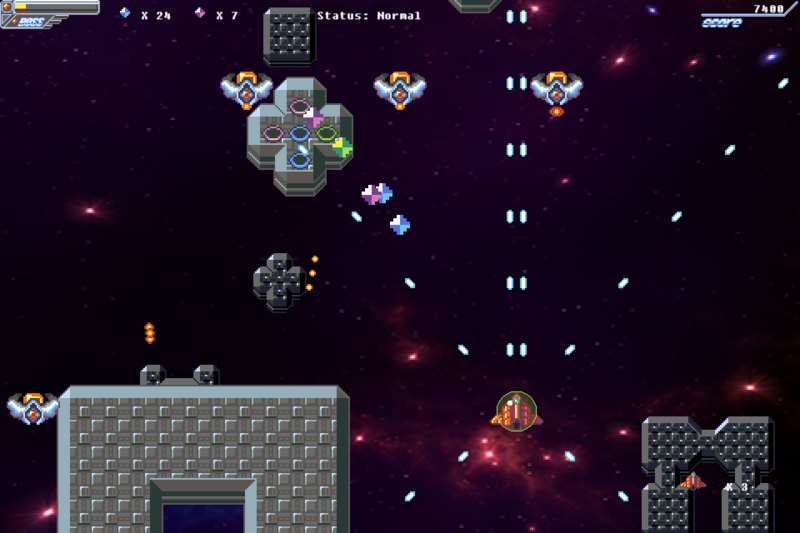 Blue gems: increase weapon strength and reach. 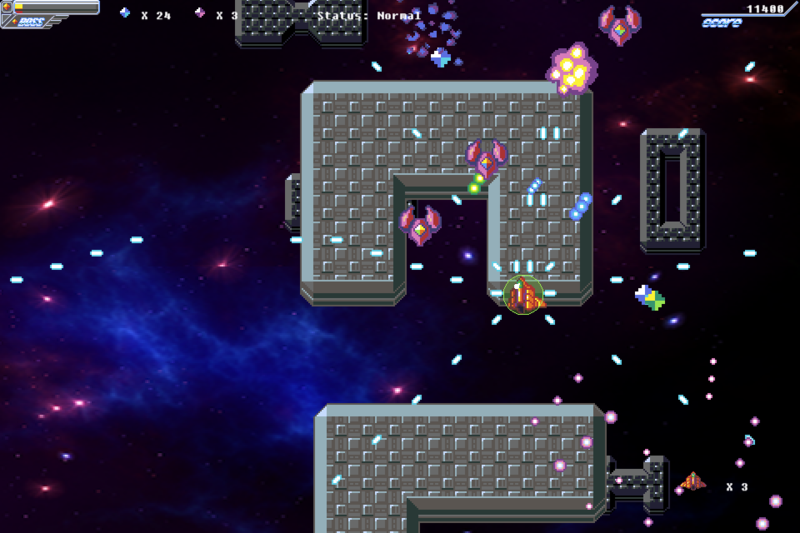 Pink gems: gather 80 of these to get an extra life! 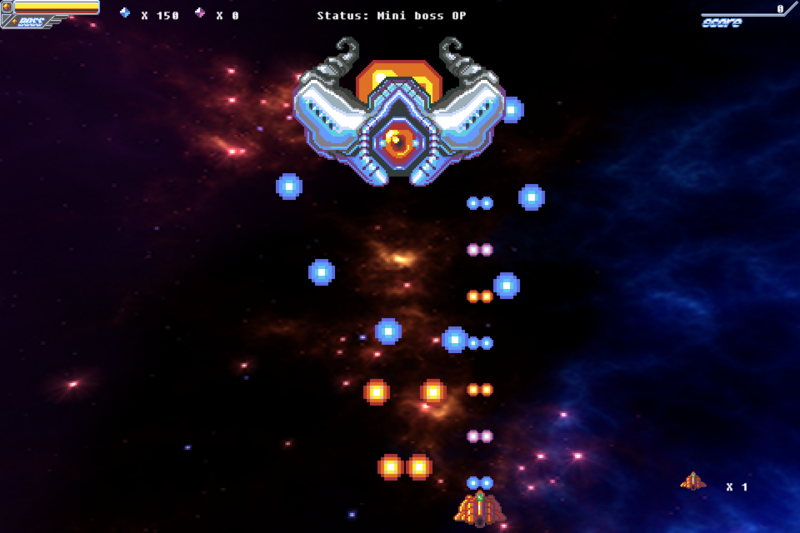 Orange gems: collect 100 and press the B button to grow boss sized and crush your enemies like a titan! But gems are not forever, if you lose all of your lives and wish to continue fighting, you shall pay the price: choose to either halve your gems or score. 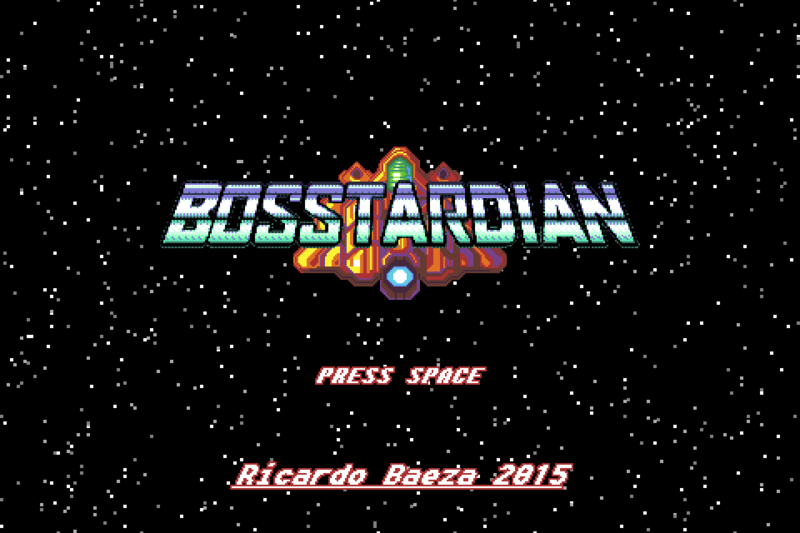 B: when the boss gauge is full, press b to transform the SS Tardian into the powerful Bosstardian! 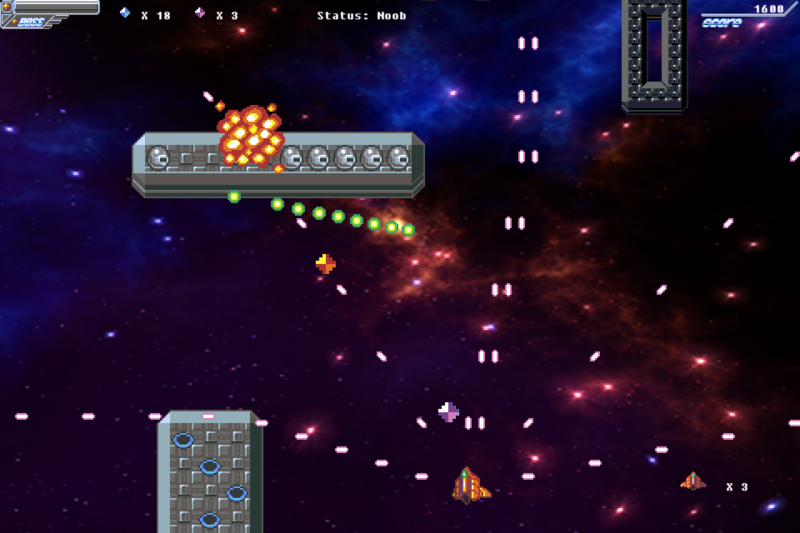 This game's code, graphics and sound were created by me in less than a month. This was a hard but fun challenge. I hope you enjoy playing this game as much as i did enjoy creating it!